xmake will find and install packages from the official package repository (xmake-repo). xmake adds built-in support for third-party package managers, explicitly specifying packages in other package managers through package namespaces, and it currently supports conan::, brew:: and vcpkg:: packages. The new version implements the conan generator to integrate the package information in the conan. It is also very convenient to use in xmake, and can pass all the configuration parameters of the conan package. This version is mainly to improve the remote dependency package management, fix a lot of details, and this version can already support the upgrade from my upgrade through xmake update, it will be more convenient to upgrade xmake later. 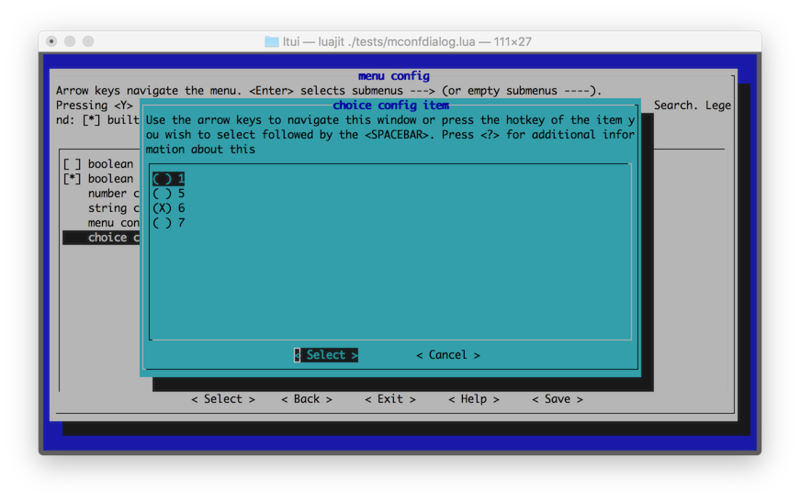 LTUI is a cross-platform terminal ui library based on Lua. This framework originated from the requirements of graphical menu configuration in xmake. Similar to the linux kernel’s menuconf to configure the compilation parameters, so using curses and lua to implement a cross-platform character terminal ui library. Refer to kconfig-frontends for style rendering. Of course, users can customize different ui styles. We need install the cross-platform build utility xmake first. Since my English is not very good, the article uses google translation, if you can’t understand, please understand. After more than four months, xmake finally updated the new version v2.2.2 and launched the heavyweight feature: Natively Supported Remote Dependency Package Management. This feature, in fact, I have been writing for almost a year, before the initial completion, for the development of this feature and history, interested students can look at the relevant issues: #69. When we write C/C++ programs, the use of third-party dependencies has always been a big problem. Because each build library has different build systems and different code platform support, it can’t be like other high-level languages. Convenient and easy to use package management support. For the existing cross-platform build tools, there is no built-in package management support. For example, cmake only provides find_package to find system packages. Although it can be used with third-party package management such as vcpkg, I personally feel that it is not very Convenience. This will make other users of the project need to install vcpkg or install the dependent library to the system when compiling. For the pc platform, it is better to use it. For the iphoneos, android and other platforms, the user will toss on the library. It will be a while. 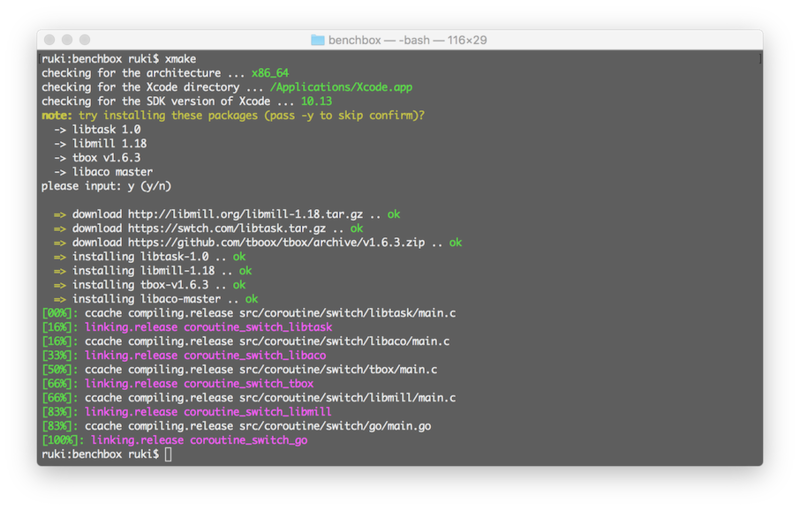 Consistency of build behavior: Regardless of whether your project has library dependencies or tool dependencies, you only need to execute a xmake command to compile. Consistency of project maintenance: Regardless of whether your project is used on Windows or for Linux, iPhone, or Android, you only need a xmake.lua maintenance project. Cmake also needs to generate additional third-party IDE project files, even if cmakelist.txt is the same, but the build and maintenance experience is not guaranteed to be completely consistent for the user. After all, it is limited to such tools as vc/make.